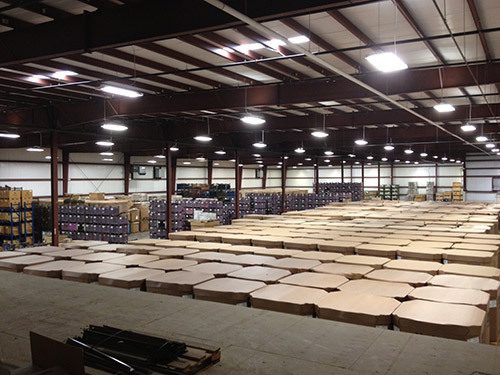 At Aztec Manufacturing Corporation, we offer custom warehousing, logistical, and fulfillment services, from our 48,000 square foot warehouse. We help customers streamline their operations with our professional inventory and product management solutions, including real time tracking, receiving, packaging, sorting, quality checking, and testing. We take care of distribution and fulfillment, offering shipping and special boxing as well as barcode labeling and expedited freight services. We also offer Just In Time deliveries which provide improved efficiency. In addition, we utilize Advanced Shipping Notice (ASN) for greater time saving and inventory planning. 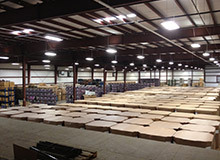 Daily and weekly usage is available for temporary warehousing needs. We can handle loads up to 4,000 lbs., and shipping containers up to 48" wide. Our culture of quality is a key factor in our success and longevity. We meet the stringent standards set by industry policy makers, and pride ourselves on delivering outstanding customer service alongside our high quality services. For more information about our affordable supply chain and warehousing services, or our other value added options, please see the chart below and contact us directly.